So, this review has a bit of history behind it. When Supergirl first premiered, I came out pretty hard against it, and I had no intention of ever following it. Of course, a friend of mine, a fellow blogger, insisted that I should give it another chance, that it gets better, especially after the first half of the first season. I eventually made a sort-of promise that I would try it again some time, but I did not specify doing so any time soon. But, when I started redoing some old, introductory posts as actual reviews, I reviewed the rest of the Arrowverse as well – proper reviews for Arrow, The Flash, Legends of Tomorrow, and I already reviewed Constantine – and I powered my way through a bunch of other shows, like Reign and Bones, to review them, so… eh, I figured I’d complete the set. 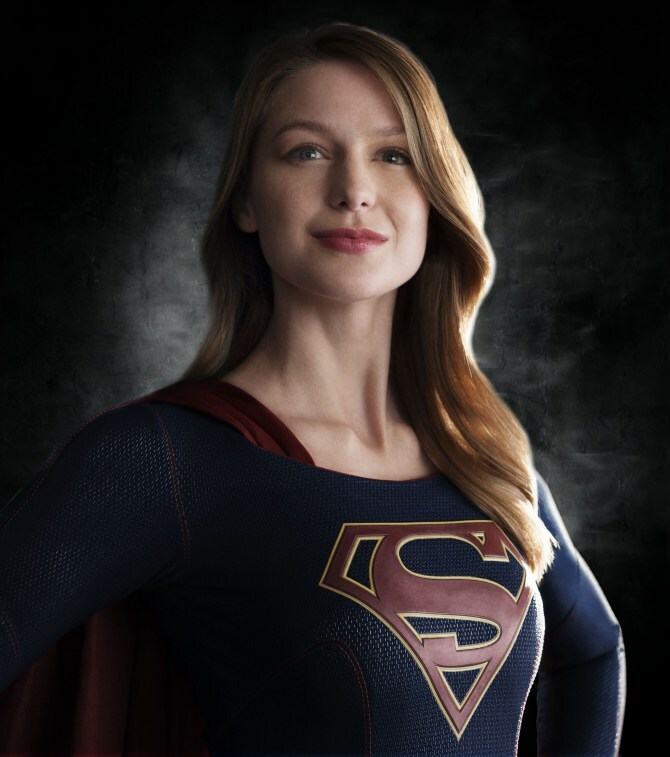 First thing’s first, I am going to admit my friend was partially right, Supergirl did get better as it progressed. But, I am also going to argue, it still leaves much to be desired. Many of my issues with the first episode have held true throughout the succeeding series, two seasons thus far. Most of those issues became less flagrant as the series developed, but they’re still problems, overall. I’m not sure if the acting became less wooden or if it just somehow grew on me, but while there’s still absolutely no subtlety to anyone anywhere, it’s still pretty entertaining. Ironically, and hilariously, it’s the single most flamboyantly shallow character in the entire cast, Cat Grant, who steals the show with how deep she can be at a moment’s notice. The plot does not get especially complex, at least not in what anyone is trying to do or why, or who’s good and who’s bad. It just sometimes has enough parties to follow, sometimes with conflicting ideas, that there are complications to be dealt with. The drama… oh, the drama! There’s always something for someone, most usually Supergirl, to throw a hissy fit about. See above regarding a lack of subtlety. They always have the villain attack a bystander to distract the heroes and then magically disappear. 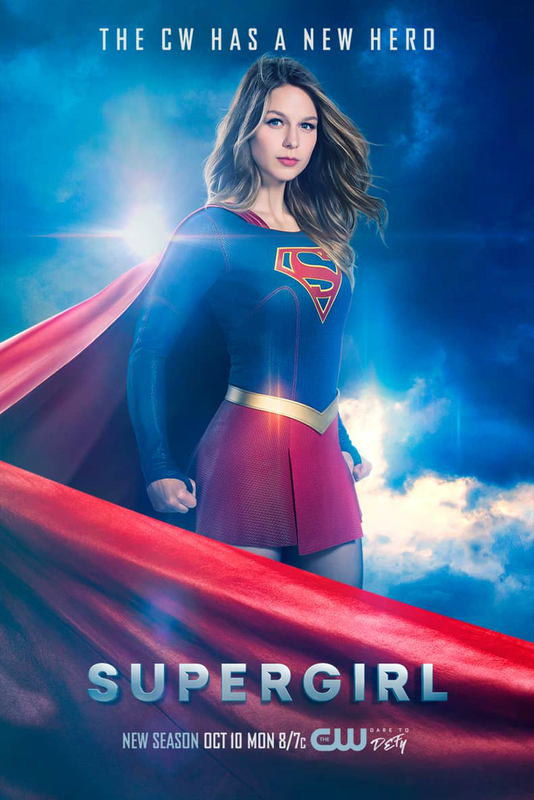 They absolutely just redo Superman’s story starring Supergirl, right down to her choice to become a reporter in the second season. I did like when they finally introduced us to the Man of Steel himself. The first season kept having to dance around the idea of actually involving him somehow in his cousin’s life, even when she was battling for her life. When we finally met him, it was very well done, and they developed Supergirl herself a bit through their familial relationship. And is it weird that this might actually be my favorite live-action version of Clark Kent/Superman yet? He’s there for, like, two or three episodes at most thus far, and still fantastic. I love strong females, but, again, there’s too much of a good thing, and they did way too much of this good thing. Female counterparts for Jor-El, Zod, Brainiac, and Lex Luthor?! 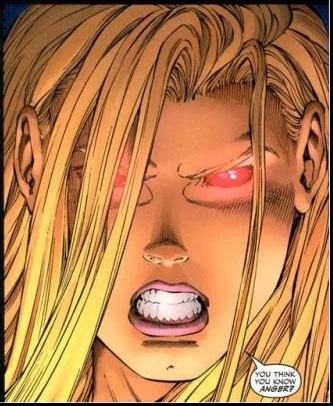 Even a female version of Lionel Luthor, the evil parent Luthor in Smallville who begins the effort of experimenting on people with abilities. Come on! At least Miss Martian is an actual DC character, as are Cat Grant and Lucy Lane. Speaking of which, how was it Lucy just disappeared with the second season’s beginning? And yet, for a show that hit female empowerment so hard, somehow the female version of Zod was all but dominated by a lower-ranking man who happened to be her husband. That made very little sense to me. A female president is all right on its own, but amongst a litany of others, including the aforementioned counterparts? It felt like “just another one.” Of course then she turns out to be an alien, and when she points Air Force One towards the alien invasion and gets everyone else on board killed… eh, no biggie, right? She’s legally disqualified from being the president too, due to her extraterrestrial origin, but no one seems to care. Whenever they have someone, like General Lane, Maxwell Lord, or Lillian Luthor, who is willing to do whatever it takes to defend the people they intend to defend, they’re always stupid and paranoid about it, and we have to listen to the women who spout about hope and fairness and are automatically right just because. And, of course, a main character, Alex, is a lesbian. Because nothing screams “female empowerment” like women who don’t need men even in bed, right? Seriously, no disrespect to lesbians intended, but sexual orientation does not come into play when determining if a character is strong or weak in my book. Even more, it came out of nowhere and felt really forced. By same token, most of the couplings have felt forced. Supergirl and Mon-El were my favorite, I think, as it was easy to see how they complemented each other and balanced each other out. But Supergirl and Jimmy Olsen? That just felt weird, ya know? And then they set it up for an entire season only to end it in five minutes, but at least that made way for better things. Obviously, there’s a certain liberal slant to the material, including the “refugees” and “amnesty” and such. But there’s also some balance to counteract the liberality, which I can appreciate. For instance, they have some powerful statements about the dangers of trying to force obedience. And the second season villain is also a queen and stands as an example of a woman drunk on too much power. And I still hate the whole “Girl vs Woman” thing. So, with all these complaints I have, it doesn’t sound like my tune’s changed much at all, has it? Technically, true. It’s kind of weird, though. I don’t know exactly how to quantify it, but the show has simply gotten more bearable. Either it improved after all, or my brain got worn down by the rest of the binging. Somehow I just like these characters more than I did. Kara, Alex, Jimmy, J’onn, Cat, Snapper, Mon-El, and all the rest. I just like them, really. I’m not sure how else to describe it, or what exactly I like about them. I just do. 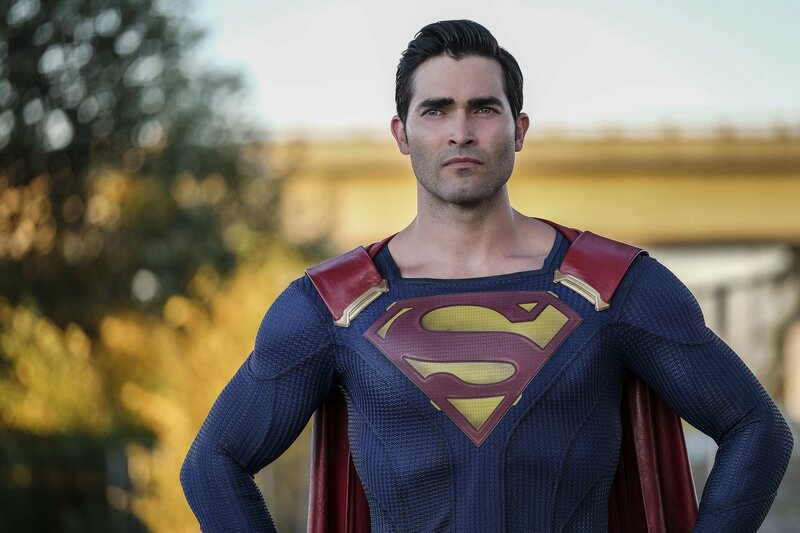 And just like that, Supergirl manages to gain my patience with, and frequent forgiveness of, its many flaws. It’s a fun, entertaining adventure, and perhaps a little exploration of humanity from a perspective that’s partially extraterrestrial. And, at the very least, it is the most independent of the shows currently in the Arrowverse. It is not great. But it’s all right. At least for the moment. We’ll see what happens. This entry was posted in Tuesday Review, TV Shows and tagged Arrowverse, Supergirl. Bookmark the permalink.